Sometimes vegetarian dishes can taste as good as their meat counterparts. When I started making Spaghetti with vegetables, I wasn’t sure if it would taste all that great without chicken or meat. 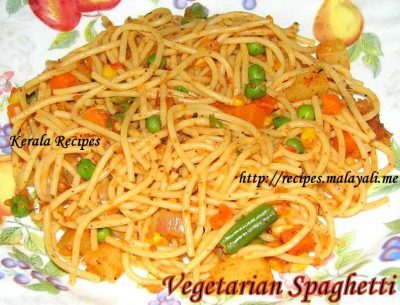 Surprisingly, this Spicy Vegetable Spaghetti tasted great and satisfied our taste buds. I added lots of garlic for an extra flavor. I usually skip cheese while making Spaghetti/Pasta to keep it light. 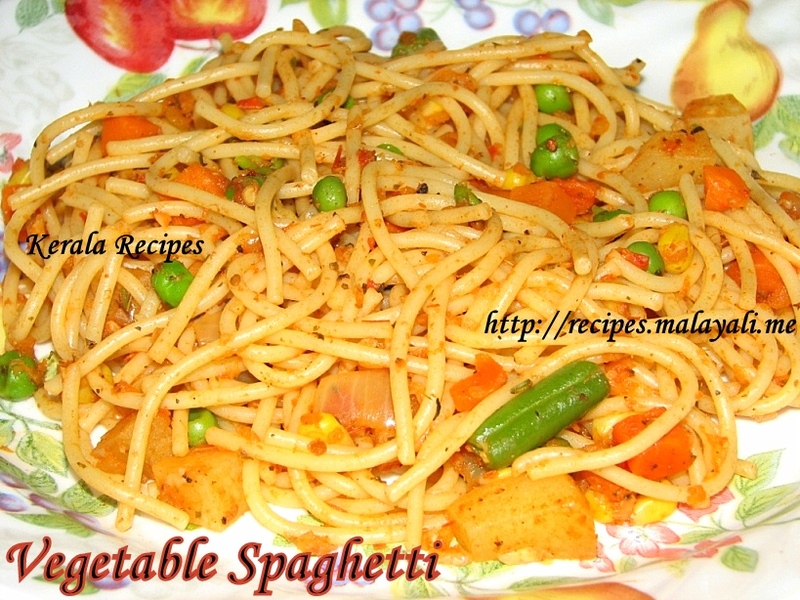 Here is the recipe for a simple and healthy Vegetable Spaghetti. This is an excellent lunch/dinner for kids. Drain water from the spaghetti and keep aside. Meanwhile, sprinkle water, cover and microwave the vegetables along with salt for around 3-5 minutes until half cooked. Drain excess water if any and keep aside. Heat 2 tbsp olive oil in a skillet and saute onions until soft. Add the finely chopped garlic and stir fry for 2 minutes. Reduce heat and add Italian seasoning, pepper powder, onion powder and chilly garlic sauce. Saute for 2 minutes. Add crushed tomatoes along with salt to taste and allow it to cook for 5-7 minutes on medium heat. Next add the half cooked vegetables and saute for a few minutes. Finally, add the cooked spaghetti and toss everything nicely for a few minutes. You may sprinkle grated cheese on the spaghetti before serving. its superb. i like it.